PANNON Pro Innovations Ltd. and Central European Initiative proudly announce the second open innovation workshop of the DANUBIONET project. Challenge to work on and industrial relevance are provided by the Hungarian Biogas Association in cooperation with Banat’s University of Agricultural Sciences and Veterinary Medicine of Timişoara, the Romanian Sustainable Energy Cluster (ROSENC) and Archenerg Cluster from Szeged. Here, we invite you a lively discussion and exchange of ideas, hence we encourage stakeholders with different backgrounds and of different sectors to apply, in case you feel you can contribute to the discussion on: How the biogas technology can help the development of new solutions within the circular bioeconomy concept and create new supply chains using new feedstock or new approaches to deliver not only energy but variety of bio-based materials. As defined by Henry Chesbrough author of the book “Open Innovation: Researching a New Paradigm (2006)”. In a simple way, when companies cannot or don’t want to invest in R&D from the beginning but rather decide to publish challenges and gather potential solutions from anywhere. What is the main focus of the event? The main focus of the event is to work together with the experts of the Hungarian Biogas Association in a facilitated and interactive manner to find solutions to the challenge. Diverse competencies of the organizers and the well-recognized invited speakers will guarantee a fruitful one day event where the know-how of different stakeholders can be merged and help to overcome a real industrial challenge. Moreover, based on the answers of the DANUBIONET survey the workshop will steer the co-development process into the direction to bridge the gaps usually faced on bioeconomy project developments. The agenda is currently under development but it will include team work with help of facilitators and pitching of the idea in front of a jury including a representative of the challenge owner. 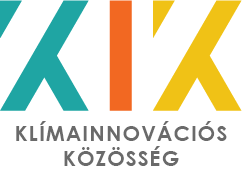 This occasion, the Hungarian Biogas Association seeks solutions and start discussion about the position and benefits of the biogas technology in the wider concept of circular bioeconomy and how it could help exploitation of new feedstock and approaches to produce energy and bio-based materials at the same time. Sustainable utilisation of biomass plays an important role in circular bioeconomy because it can be used not only for energy but also as feedstock for bio-based materials (fertiliser, biochar, etc.) Organic waste and agricultural by-products can be turned into valuable resource if the necessary processing techniques and logistical channels are developed and put into practice. For this reason to use of already existing biogas plants for the implementation of new technology solutions are welcome—by new feedstock sources or proposal on how to put the biogas plant into the context of the circular bioeconomy by new approaches. As a hint, you can consider the further use and processing of all the outputs. The proposed novel strategy places biogas technology into the hub of the renewable energy production and utilization network. All ideas ranging from bio-hydrogen, algae, bioplastics and something we have never heard of are more than welcome. We have several reasons to consider your participation. Firstly, now you have the opportunity to test your knowledge in relation to real industrial challenges and work together with challenge owner. If any of the partners likes your idea this may result in long term cooperation. An outstanding opportunity to turn your ideas to industrial reality. Secondly, we aim to foster cooperation and project generation, hence you can meet like-minded people, discuss with them, find complementary competences and start making projects. Thirdly, you can practice a new approach and learn from facilitators how to turn ideas into business development and pitch your thoughts. Last but not least, we are considering prizes for the teams and also travel reimbursement is offered. Hope, we have convinced you but we are open for your questions. Please start thinking on potential solutions and soon, latest by mid of August we will publish an Expression of Interest form. If you want to make it sure to receive this form, send the organizers an email. Formally, you can apply by filling the form below and returning it to us by a deadline of mid September. Then we will quickly assess the applications, short list them and invite the best 4 or 5 who will also enjoy our generous travel reimbursement. Application is open for individuals and teams of individuals up to 5 members. Teams are preferred with a complementary composition and competences.